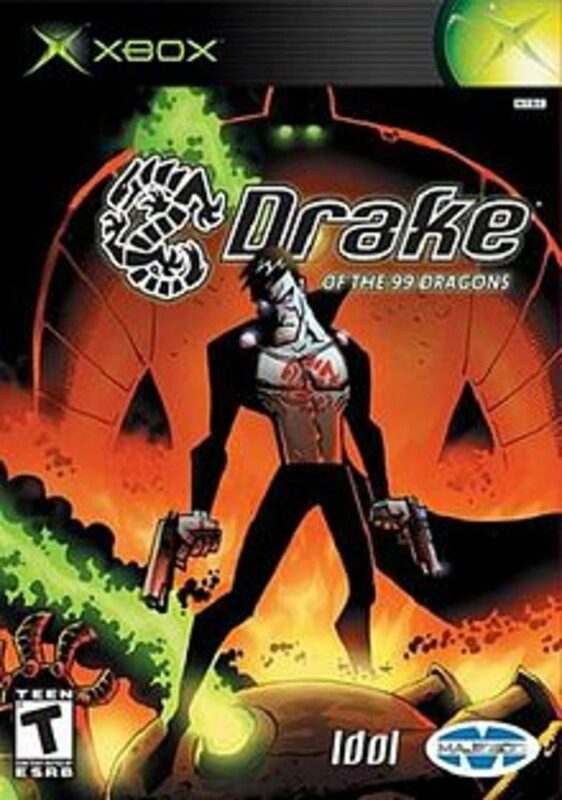 Drake of the 99 Dragons (also titled Drake) is a cel-shaded third-person shooter video game developed by Idol FX and published by Majesco Entertainment. It was released for the Xbox on November 3, 2003 and for Microsoft Windows PC systems on June 14, 2004. The game stars Drake, an undead assassin who is on a quest to avenge his murdered clan, the 99 Dragons, by recovering their ancient "Soul Portal Artifact" from antagonist Tang. Tang intends on using the artifact to harvest the souls of dead beings and power his undead cyborg army.